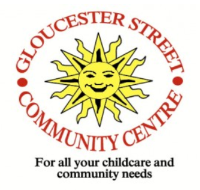 Gloucester Street Community Centre are pleased to announce two training courses at their premises - 1-8, Gloucester Street, Whitmore Reans, Wolverhampton, WV6 0PT. The course will start at 9.00am and should be finished by 3.00pm. Will be delivered by Early Years Alliance. This is an ideal course for those considering a career in Childcare. The course will be held at Gloucester Street Community Centre on Wednesday's at 9.30am to 12.30pm. The course will start on Wednesday 1st May 2019 and will end on 10th July 2019. Enrolment for this course will take place at Gloucester Street Community Centre on Tuesday 9th April between 9am and 12 noon. If you are unable to attend the enrolment, please contact us as we can arrange an alternative date. Or view our record in the Related Services section of this page.